One thing that blockchain has really driven home in the technology sector is that there is strength in numbers. Currently, the commercial Cloud computing companies available for personal and professional use is dominated by tech giants, like Amazon, Microsoft Azure, and Google. 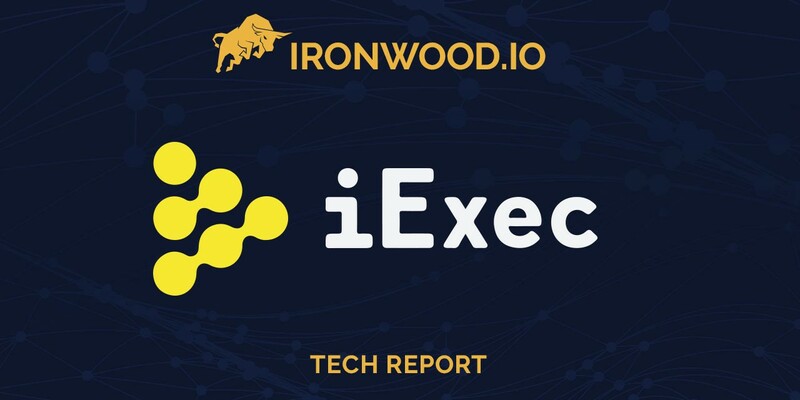 The Cloud computing industry and smaller businesses purchasing computing power has seen exponential growth and is projected to break the 400 billion dollar mark by 2020.
iExec is a decentralized Cloud computing company attempting to take on the likes of Amazon and Google by using the power of blockchain and pushing the current limits of an industry which has a combined gross revenue of $260 billion by the end of 2017. Furthermore, most established blockchains are not built to handle complex computational processing, which creates the need for an off-chain solution that can meet the specialized requirements of certain dApps, making it so that they do not have to rely on centralized solutions for the necessary computation. iExec’s decentralized computation platform would be a possible solution to the computational scaling problem current blockchains face. iExec will be using a Proof-of-Contribution protocol to appropriately share the payment for the services rendered. This protocol has increased security and traceability for payments when compared to other protocols, such as Proof-of-Work. There is little dispute to transactions as they are easily found on the blockchain, where they are stored in the form of RLC tokens. This project intends to run dApps off chain, physics models, and other CPU intensive applications for various fields — especially once their platform is more developed — but can currently handle processing dApps off chain with unused computing power on their platform.